The numbers used here were/are compiled by the Bonneville Power Administration and are considered to be accurate within acceptable tolerances. 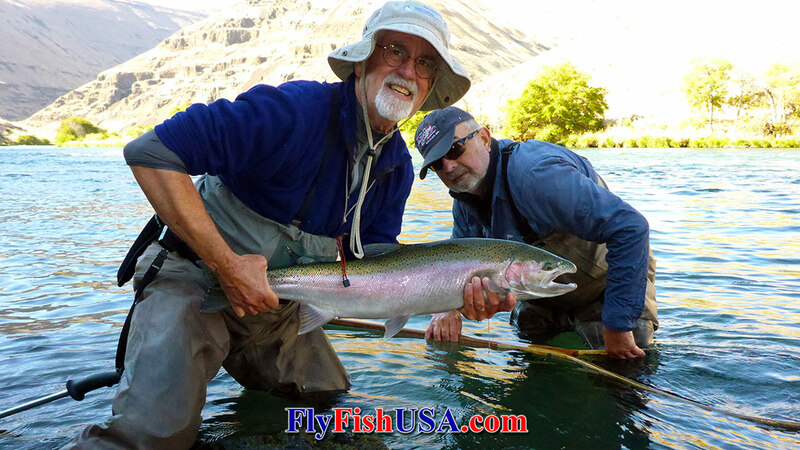 There are few things about steelhead and steelhead fishing that are not to some degree theoretical. Why do steelhead bite flies, beads, or plastic worms? Why do some colors work on some days, months, years and not on others? We will never really know many things about steelhead for sure. The numbers supplied here will not help to answer any of those questions.The numbers are just a way to keep track of events that have happened, and a way to compare and correlate them to other data collected. There are some absolutes about all sport fishing though. You do have to have your hook in the water, and the fish actually have to be where you are fishing in order to catch any. In the case of the steelhead counts presented here, more fish were caught when runs were over 600,000 fish than when runs are under 200,000 fish. Big runs of fish support big catches by anglers, and in turn this stimulates the economy especially in the for-profit sectors. Fishing guides/shops are much busier during big run years. My three most profitable years of guiding clients on the Deschutes River were 1986, 2001, and 2009 (in that order). The 2009 summer steelhead run in the Columbia Basin was far better than average. Counts are incomplete for 2009, as there are still nearly two months left in the year. However, in most years few steelhead pass over Bonneville Dam in November and December. At 602,306 it is doubtful that we will beat the 2001 total of 633,464. The best news is that at 171,538, the 2009 run of wild summer steelhead is the largest ever recorded over Bonneville Dam. The numbers below are offered for your contemplation. The chart below draws no political or biological conclusions. It is only a table of raw data collected at one Columbia River dam for 71-years (about the length of one average human life). It does appear that within this short period of time that steelhead run numbers fluctuate significantly from year to year. Probably over a longer period of observation they would fluctuate even more. It would also appear that during the last ten year period we are on the high end of these fluctuations. We thought you would like a share of this good news. The period of 2000-2009 saw 3,989,868 steelhead cross Bonneville Dam. This compares to the ten year period of 1990-1999 when 2,180,512 steelhead passed through the same fish ladders. Trends might be seen more clearly when these numbers are compared to even earlier ten year periods. The 2000-2009 period has over twice the number of steelhead as any ten-period 1940-1979. Wild steelhead were not counted prior to 1994. The 2009 wild steelhead count exceeds 85% of the total steelhead counts prior to the 33-year period before 1970. In the 2009 number, what is not taken into account are the effects of the Boldt Decision that was made in 1974, which gave Native Americans rights to harvest 50% of the Columbia River anadromous fish upstream of Bonneville Dam. Before 1974 Native American harvest had much less effect. More numbers have been added as nearly another decade has past since the assumptions of the 2009 report was written. Because of that the decadal structure has changed slightly. Even though the last three seasons have yielded returns of less than 200,000 steelhead, the last two decades are still the best recorded.